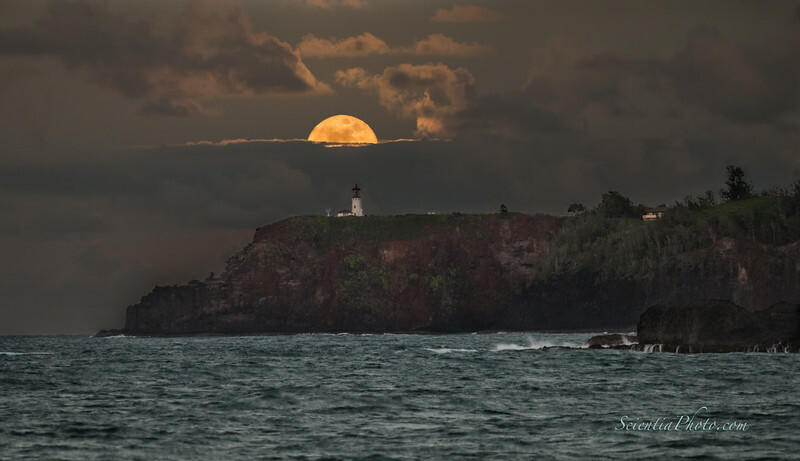 When I first considered this shot the alignment of the rising full Moon and the lighthouse was from a difficult to reach location known as "Secret Beach". Michael Diamant scouted it out for me, and I decided to not attempt the shot. By 2016 the alignment was from a 65-foot long stretch of a winding country road with a 3- to 4-foot strip of grass and then a precipitous 15-foot drop to the rocky shore. But a persistent bank of clouds blocked my view just long enough to miss the prime shot. Maybe next year.